On October 7, 1998, a young gay man was discovered bound to a fence in the hills outside Laramie, Wyoming, savagely beaten and left to die in an act of hate that shocked the nation. 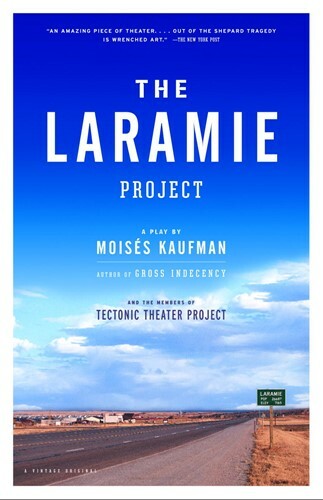 Matthew Shepard’s death became a national symbol of intolerance, but for the people of Laramie the event was deeply personal, and it’s they we hear in this stunningly effective theater piece, a deeply complex portrait of a community. From the Trade Paperback edition.